you have completed your laundry and cleared the lint trap. Lint will build up in the dryer, transition duct and exhaust duct which can reduce airflow and create a dangerous situation which can lead to overheating and dryer inefficiencies, and in some cases, fires. When moisture cannot escape it will invite mold and bacteria build up as well. 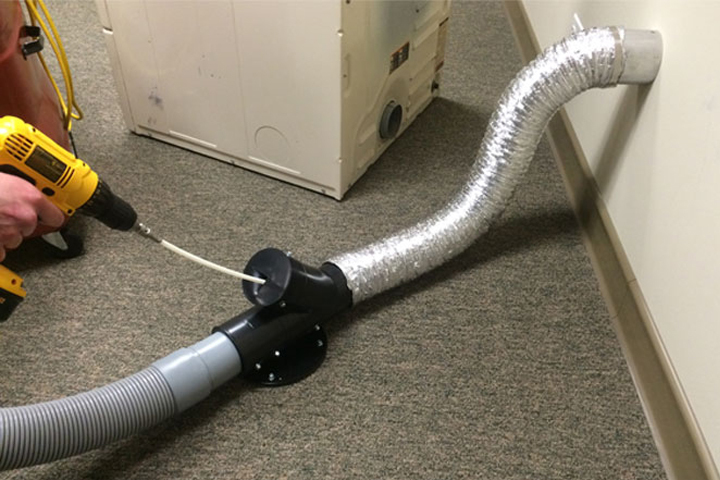 By cleaning your dryer vent, at Deluxe-Air, we can help ensure your clothes dryer is both safe and energy efficient! Lint is one of the most flammable items in your home! With estimates of 15,500 US home fires being contributed to dirty dryer vents, it is more important than ever to get your dryer vent inspected and serviced. In the Topical Fire Report Services, the US Fire Administration’s National Fire Incident Reporting System states that 84% of dryer fires were found in residential dwellings. The leading cause remains the same, Failure to Clean!